“`NBC is ringing in its 90th birthday with something special. To honor their anniversary, the network will air a three-hour prime-time special on Sunday, February 19th at 8p. 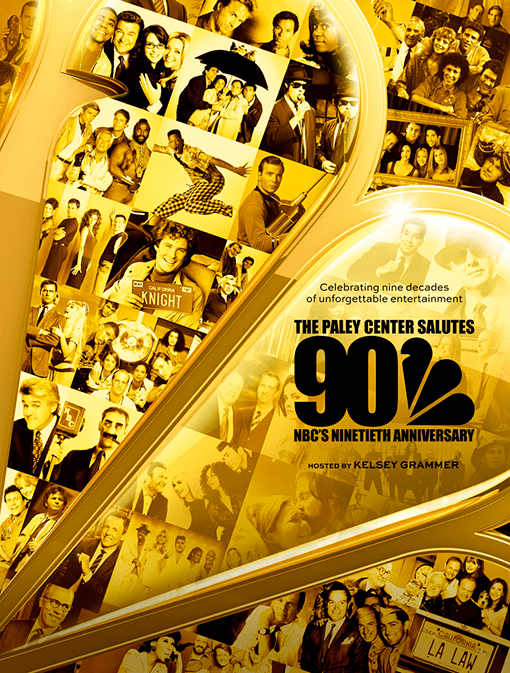 “`Five-time Emmy-winner Kelsey Grammer, who starred on NBC’s Cheers and Frasier (as Dr. Frasier Crane), will host: The Paley Center Salutes NBC’s 90th Anniversary. “`During the three-hour Sunday evening telecast, the network will take a look at its series (including dramas, sitcoms, late night, and variety shows); newly recorded interviews with talent, including Ted Danson, Tina Fey, Debra Messing, Amy Poehler, Noah Wyle, Rob Lowe, Blake Shelton, William Shatner, and Jennifer Lopez; and its Emmy winners (including The West Wing, ER, Seinfeld, Saturday Night Live, Friends, The Office, and 30 Rock). “`Founded in 1926 by RCA, NBC is one of our country’s cultural legacies. Memorable clips from The Tonight Show, Today, Meet the Press, The Wiz Live!, and more, will also be featured on the special. This entry was posted on Friday, February 17th, 2017 at 11:29 am	and is filed under Blog by Manny Pacheco. You can follow any comments to this post through the RSS 2.0 feed. Responses are currently closed, but you can trackback from your own site.